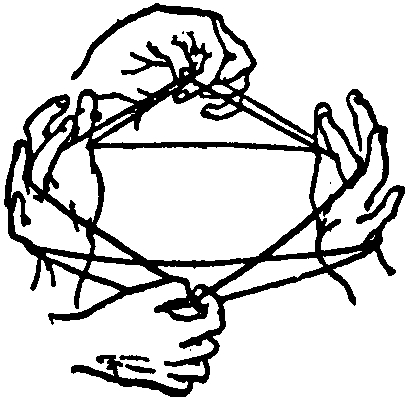 Like the traditional cat’s cradle string game, the hydrological, carbon and nitrogen cycles are interconnected and any one change affects the whole. These complex cycles support life as we know it. Humans have intervened in these natural cycles for thousands of years and just as practices based on ignorance or limited knowledge have resulted in the degradation and collapse of natural systems, recent developments in agricultural practices are restoring natural processes and improving productivity while also reducing input costs. In Australia, the Carbon Farming Initiative has been rewarding good agricultural practice with Australian Carbon Credit Units since 2011. By December, 2014, ten million ACCUs had been issued. Recent developments in satellite technology will soon make it possible to see both good and poor agricultural practice from space. Restoring life to landscapes will change agricultural land from a major source of emissions to a sink for greenhouse gasses. The hydrological cycle is based on precipitation and evaporation, cycling between vapour and liquid (or ice in cold climates). Simply put, ideal agricultural practices maximise retention of every possible drop of water within the soil and minimise loss through evaporation. Carbon cycles between solid or liquid forms and gaseous forms. Above ground, through the process of photosynthesis, carbon combines with hydrogen and oxygen to form carbohydrates. As examples, starches and sugars are carbohydrates which store energy, and cellulose and chitin are carbohydrates used by nature to build structures. Below ground, through the process of aerobic decomposition by micro-organisms, carbon forms humates. Under very specific conditions, in the absence of oxygen, hydrocarbons are formed from carbon and hydrogen. Fossil fuels are literally fossils of organic matter that was smothered before decomposition was complete. Coal has been formed from land-based debris and crude oil has been formed primarily from plankton skeletons (ocean floor debris). Carbon combined with oxygen forms one of two gasses; carbon dioxide (CO2), a product of aerobic processes, and carbon monoxide (CO), a product of combustion in the absence of enough oxygen to produce CO2. Carbon combined with hydrogen forms methane gas (CH4), a product of anaerobic processes. Ideal agricultural practices maximise retention of carbon in solid and liquid forms and minimise the release of carbon to the atmosphere as a gas. Nitrogen as N2 is the main component (nearly 80%) of the earth’s atmosphere. The strong molecular bonds of N2 are broken by the action of bacteria and changed into ammonia (NH4), which is then used in the organic compounds which make up living plants and animals. For example, nitrogen is essential in amino acid, protein, DNA, and chlorophyll molecules. Plants absorb nitrogen as ammonium or nitrate ions and this same nitrogen is passed all the way through the food chain from plant sources to animals. During decomposition by soil micro-organisms, nitrogen is converted back to ammonium and nitrates to be recycled within the soil ecosystem. Because nitrates are highly water soluble, however, they can leach into groundwater and streams, affecting the quality of water, which may result in eutrophication. In anaerobic conditions, such as waterlogged soils and oceans, nitrates are converted back to inert N2 and lost to the system until bacterial action continues the cycle. Human intervention in the nitrogen cycle through the use of commercial fertilisers and burning of fossil fuels has significantly increased the amount of available nitrogen in soil and water and has increased the amount of nitrous oxide (N2O) and nitric oxide (NO) in the atmosphere. Ideal agricultural practices minimise external inputs, balance the nitrogen /carbon ratio to achieve maximum efficacy, and minimise release of nitrogen into the surrounding environment or the atmosphere. In general, ideal agricultural practices support a soil ecology which retains and recycles water, carbon and nitrogen within the soil. In contrast, degraded landscapes are defined by limited organic matter and soil moisture. Poor agricultural practices release all of the three most significant greenhouse gasses – carbon dioxide, methane, and nitrous oxide. Because natural systems are cyclic and not linear, remediation begun at any point in any cycle will have a flow-on effect, which can be enhanced by further interventions at any point in any cycle. Biological systems, like a chain, break and collapse at their most vulnerable point. This point is usually hydration. Both physical and biological approaches can be used to improve hydrology. A focus on the water storage capacity of dams and rivers has ignored the much greater water storage capacity of soils – in healthy, carbon-rich soils, there is a “lake” hidden below the surface. Every gram of carbon in the soil can retain up to eight grams of water. Nationally, the soil's capacity to retain water within the top five centimetres varies from 0 to 17 per cent. The capture and storage of carbon dioxide through biological processes begins with photosynthesis. Through photosynthesis, light energy is converted to stored energy by changing carbon dioxide (CO2) and water (H2O) into carbohydrate and free oxygen (6CO2 + 6H2O = C6O12H6 +6O2) For the past 3.5 billion years, since the beginning of life on earth, the biosphere has been dependent on photosynthesis to sustain life. Part of the carbon within a plant becomes the physical structure of the plant by joining simple carbon compounds together into more stable and complex structures to form the body of the plant. When vegetation is harvested, cut, cleared, or left to decay, the structural carbon contained in the plants begins to be released. Burning instantly releases carbon dioxide into the atmosphere. Left to decay on the surface of the soil, a large part of the plant residue becomes labile, or active, carbon, which decays in under five years. This is the basis for the argument that carbon held in living plants does not offer a long term solution for carbon capture and storage. Whether labile carbon is released as carbon dioxide or further decomposed to humus, however, depends on whether microscopic life is present to do the work. Some of the decaying plant matter is tougher and this becomes resistant residue, which takes twenty to forty years to decompose. Residues on the surface provide protection for the soil from the elements and help to reduce evaporation. Residues within the soil assist soil structure and water infiltration. Again, whether the carbon held in these resistant residues is eventually released as carbon dioxide or decomposed to humus in the soil depends on the nature of the micro-organisms present. Not all of the carbon available to a plant through photosynthesis is used by the plant. Some of it is “bartered”. As much as half of the carbon produced, enters the liquid carbon pathway, where starches and sugars are exuded from the roots to feed life in the soil.22 Mycorrhizal fungi living on a plant’s roots, for example, feed on the exudates and in return, seek out water and nutrients for the plant, effectively extending the plant’s root system. A teaspoon of healthy soil supports several meters of fungal hyphae, a billion bacteria, several thousand protozoa and a few dozen beneficial nematodes. The wastes and dead matter of this microscopic ecosystem, contribute to the pool of carbon below the surface. To summarise, looking at a healthy landscape, there is carbon in the living structures of the plants above ground. There is carbon being decomposed in the litter residues on the surface of the soil. There is carbon in the organic matter at various stages of decomposition in the soil. Within the plants, liquid carbon is flowing from the plant into the soil to provide fuel for the biological processes beneath the surface. There is carbon in the microscopic bodies of the denizens of the soil and carbon in their wastes. All of this is active carbon. Carbon dioxide is 0.04% of the earth’s atmosphere. Globally, soils hold three times more carbon than earth’s atmosphere, 26 which implies that soil management practices are far more significant to the levels of atmospheric carbon than the number of cars on the road. Agricultural practices over millennia have depleted soils of carbon and this loss has accelerated over the last century. The graphs which correlate atmospheric carbon to industrialisation also correlate to the industrialisation of agriculture. Regenerating soil requires soil biota - earthworms, arthropods, nematodes, protozoa, algae, slime moulds, fungi, archaea, and bacteria - the vast majority of which are as yet unclassified and unstudied. Agricultural practices which intervene in the carbon cycle to keep carbon in the soil are practices which protect and promote soil that is alive and therefore sustains life. Land managers who use biological soil amendments have usually invested substantial amounts of money into their own professional development to understand the fine detail and often work closely with consultants. They use very precise scientific methods to measure and monitor results and constantly adjust amendments in response to those results. Some examples of biological soil amendments include compost, microbial brews, inoculants, earthworm products, humates, fulvic acid, and bio-char. Of the innovations that are regenerating soil, perhaps the one that will impact the largest area of land is cell grazing. This practice is based on the work of Alan Savory, 37 but since the first information sessions in the Northern Territory in the early 90’s, a great deal of work has been done to refine the principles in the Australian context. 38 Some examples include Bokara Plains, 39 Lana, 40 Shannon Vale Station, 41 Talaheni, 42 and Wyndam Station, 43 but most land managers who are focussed on improving carbon content in their soils, also include grazing in their combination of solutions. Beetaloo, in the Northern Territory, has achieved dramatic improvements on an area of 1,054,700 hectares by progressively installing watering points to break the property into small cell grazing units. Each capital investment in water has paid for itself within two years through increased carrying capacity. 44 Terry McCosker, of Resource Consulting Services 45 has been described as the father of cell grazing in Australia. 46 More than 4,500 producers have attended his Grazing for Profit courses and Beetaloo is just one of the numerous properties that have benefitted from McCosker’s ability to bridge the gap between theory and on-site realities. Cell grazing is a carefully monitored and controlled system of grazing small paddocks, or cells. In practice, cell grazing focuses on plant growth as the determinant of how long an area will be grazed and involves intensive grazing for a short period of time (usually two to three days) with adequate rest time for the plants to recover (months). The principle of applying maximum stock density for a minimum of time ensures that the majority of nutrients consumed by the herd are returned to the pasture as manure (carbon and nitrogen), making fertilisation unnecessary. The high stocking rate in a small area helps to distribute the manure evenly across the pasture (rather than in stock camps) and forces the animals to eat the plants down more evenly (rather than weeds gaining an advantage by being ignored by livestock). During the grazing period approximately 60% of the available fodder should be consumed and 20% should be trampled to form surface litter (soil protection, carbon, better rain infiltration). It is the 20% left standing that is the most important part of the system. Continuous, poorly managed grazing reduces biodiversity and leaves soil exposed with consequent loss of soil carbon, loss of moisture, and erosion. Well managed grazing can remediate degraded land. The difference lies entirely in the knowledge and skill of the land manager. Soil health, plant health, and livestock health must be simultaneously managed against seasonal conditions, weather events, and market conditions. Plant selection to provide diversity of root architecture, animal breed selection for local conditions and market preference, provision of watering points, fencing, labour availability – a great deal of problem solving goes into developing the best system for a particular property. The principle of adjusting stocking rates to prevailing conditions requires pre-planning of strategies to manage livestock numbers. There is no universal solution and even on a particular property, what worked perfectly one year might not be appropriate for the next year’s conditions. It has been argued that “fire stick farming” became a survival strategy to manage the environment following the hunting to extinction of Australian megafauna. As a land management tool, fire is not needed once sufficient, well managed fauna is restored to keep plant growth in check. Traditional agricultural practices have been very effective at cycling carbon from soils into the atmosphere. Carbon stocks built up over millennia have been squandered in order to meet short term human demands. Practices which are cognizant of the complex inter-relationships between plant life, soil life and animal life can purposefully promote these relationships to continually recycle and biosequester carbon. The nitrogen cycle and carbon cycle intertwine at the point where they are both constituents of life forms and both involved in decomposition. Whereas carbon is converted from CO2 to carbohydrate through photosynthesis in the presence of light, nitrogen is converted from N2 to ammonia (NH3) by nitrogen fixing bacteria in the dark, within the soil. Plants absorb nitrogen in the form of ammonium (NH4) ions or nitrate (NO3) ions. Nitrogen in plant or animal remains and wastes is converted back into ammonium or nitrate. In anaerobic conditions nitrogen reverts to N2 and returns to the atmosphere. Ideal agricultural practices recycle nitrogen in the soil through decomposition, rather than losing it to water systems or releasing it to the atmosphere. Where once plant growth was limited by the availability of nitrogen, that is, limited by the presence or absence of nitrogen fixing bacteria and the recycling of manures, now the agricultural environment is saturated with nitrogen. There is a limit to how much nitrogen can be utilised by natural systems 51 and the excess is overflowing into water systems and oceans. Half of the lakes on every continent are becoming eutropihc, a condition where oversupply of nutrients leads to explosive growth of plants and algae. When these die, the processes of decomposition are overwhelmed; exhausting the oxygen in the water, and life can no longer be sustained. Coastal zones are also being affected, including a very large dead zone at the mouth of the Mississippi River. Billions of dollars are being spent to remove nitrogen from drinking water. Nitrous oxide in the atmosphere has almost three hundred times the greenhouse effect of carbon. An obsessive preoccupation with carbon, developed since the Stockholm Declaration in 1972, has resulted in the effects of an oversupply of nitrogen being disregarded. Agricultural practices which replace synthetic nitrogen fertilisers with nitrogen fixed by bacteria are the same practices which promote carbon-sequestering microscopic life in soil. It really is that simple. The earliest report about soils in Australia was in 1845 and what became the CSIRO Division of Soils began in 1927. By mid century, sections were established in Pedology, Soil Chemistry, Soil Physics, Soil Mineralogy, Soil Mechanics and Soil Biology. From the 1930s to 60s, world-leading research was conducted on soil bacteria, mycorrhizal fungi, humic materials in soils, and the pivotal role of microbial biomass in the turnover of soil carbon and nitrogen. From the 1970s onwards CSIRO began to be affected by funding cuts, staff reductions and reorganisation Following a review in 1987, “The whole organisation was remodelled and 'corporatised' on the lines of a hierarchical commercial enterprise which, though it did not readily suit the management of scientific research, accorded well with the political-economic views of the time. . . . . The necessity to raise so much of the Division's funding from non-Treasury sources placed new pressures on the Division's scientists. It increasingly became essential for them to design and work on projects that related to the interests of organisations that would pay some or all of the costs of doing the project.” 52 In 1997 the Division of Soils ceased to exist and was merged into CSIRO Land and Water. Following WWII, manufactured fertiliser, insecticides such as DDT and herbicides such as 2-4-D came into widespread use, which meant that there was little soil biota to study in agricultural soils in the second half of the twentieth century. Longitudinal studies have shown that it can take a number of transition years for living organisms in the soil to achieve a biomass sufficient to be reflected in productivity. 53 54 This makes any short term studies of biological methods of questionable value, except to confirm that biological approaches do not perform well in the short term. A comparative study of soil with and without fertilizer application is not the same as a comparative study of chemically fertilised soil and biologically active soil. Innovative land managers feel that agri-business and government funded soil scientists tend to focus on high input, chemical-based farming and very little research funding has been available to study emerging practices. Scientific method examines a single variable against controlled variables. People managing agricultural systems are working with a multiplicity of complex variables. The present empirical process of hypothesis, experiment, peer review, adversarial review, reproduction of results, conference presentation and journal publication has little in common with the ancient Greek meaning of empirical as based on observation rather than prevailing dogma. The $26 million, Soil Carbon Research Project created a database of thousands of soil samples. These showed the mean measured soil carbon improvement to be only 0.1 – 0.3 tonnes per hectare per annum. 55 56 57 In a personal communication with the Carbon Coalition Against Global Warming, a CSIRO researcher indicated that the project did not initially test any soil samples that had been subject to innovative regenerative land management practices. 58 59 Later studies showed a cohort of high performance soil carbon managers with sequestration figures up to 200% greater than previously assessed averages. This cohort was treated as a statistical anomaly by researchers, whereas Carbon Farmers of Australia believe the evidence suggests a new paradigm. 60 Many believe that the project’s results in no way reflect the high carbon sequestration rates possible with regenerative land management. It is a concern that these data are now used by those who claim that soil carbon farming cannot deliver significant greenhouse gas abatement. Most taxpayers are unaware that successive Australian governments, for more than two decades have spent millions of dollars to develop world-first methodologies to measure soil carbon in order to meet international obligations under the Kyoto Protocol, by using Article 3 offsets (Land Use, Land Use Change and Forestry). Under the agreement, there is a general requirement that when accounting for emissions by sources, and removals by sinks under Articles 3.3 and 3.4, soil carbon must be accounted for in addition to accounting for the carbon stored in the vegetation itself. Article 3.3 refers to forestry activities, and Article 3.4 refers to additional voluntary activities in land use. Many other countries have struggled with databases, inventories, and sampling methods to meet these requirements, finding that the difficulties with the scope of accounting and cost of measuring were a deterrent to claiming offsets under Article 3.4 voluntary activities. A ten year, three-phase, $35 million program developed technologies to transform large archives of data from the Landsat satellites into a way of accounting for all land-based emissions. 68 Using these technologies, the Department of Climate Change, CSIRO and ANU jointly developed the National Carbon Accounting System (NCAS), which is now part of the National Greenhouse and Energy Reporting (NGER). 69 This was quickly adopted as the basis for the Global Carbon Monitoring System. An inexpensive analytical method was then developed to provide information to the NCAS model. Using midinfrared (MIR) spectroscopy, the CSIRO was able to generate a spectral signature of any soil, similar to a fingerprint. When this fingerprint is combined with previous measurements of carbon fractions across a range of soil types and analysed using a complex mathematical process, the amount of carbon and its allocation to carbon fractions can be predicted easily for additional soils. 70 The Mudgee mapping project and new approved methodology are further extension of this work. 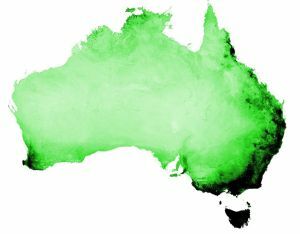 The National Soil and Landscape Grid of Australia is now the culmination of decades of work to facilitate accurate measurement of soil carbon to achieve offsets under Article 3.4 of the Kyoto Protocol. Australia has invested heavily in world leading research and development, has developed a legislative framework and has now issued ten million Australian carbon credit units under the CFI.73 There is surprisingly little awareness, however, of this amongst the Australian people, and it is puzzling that politicians have not taken credit for this success. 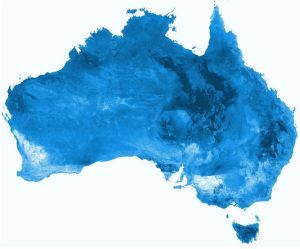 Australia has arrived at a point where land managers can be financially rewarded for caring for the land and satellites will be able to monitor their performance. Improved viability of agricultural production and new sources of income have the potential to re-invigorate rural communities. Businesses that have worked with forward-thinking producers to develop new products and services are poised to take their expertise into international markets. New financial services brokering carbon credits are emerging. For those with the foresight and the determination to search for new solutions, the soil carbon economy is happening now.